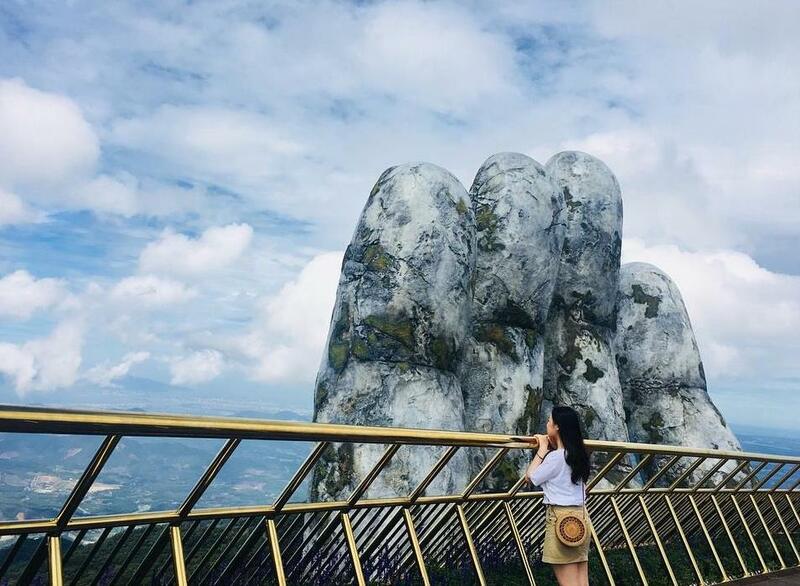 Vietnam is known for its raw nature: beautiful mountains, tropical forests, clear beaches and bays. When it comes to an architecture, the country can offer a variety of it; from the ancient temples to the modern skyscrapers. Recently, one more architectural wonder was added to a list, and it’s already attracting visitors. 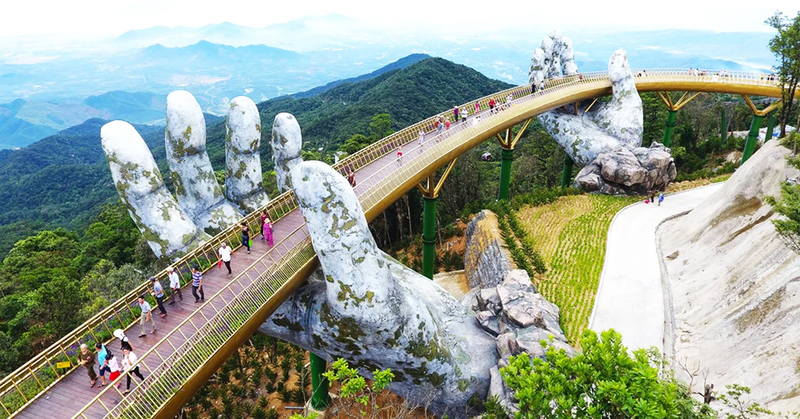 Located in Ba Na Hills, in Hòa Vang, on top of the Da Nang mountain, Golden Bridge was built in the spring of 2018. 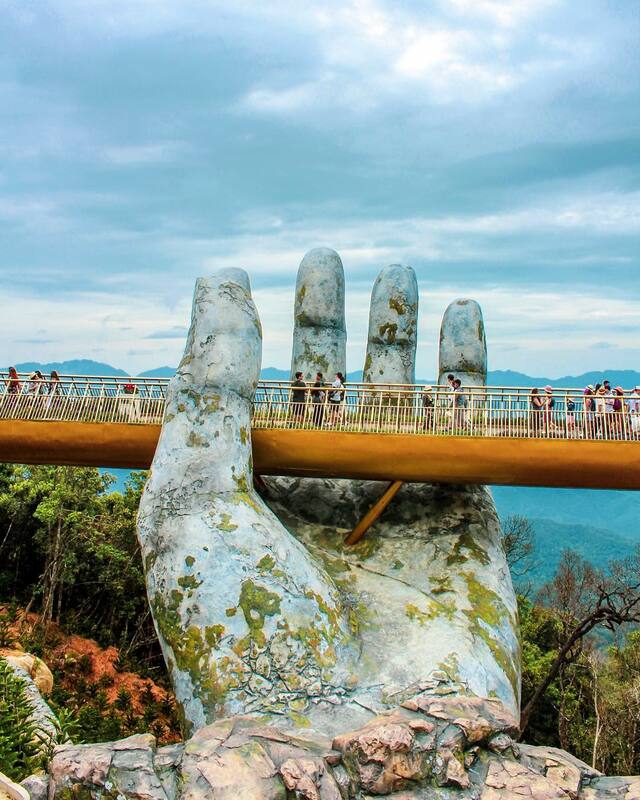 The pedestrian bridge stands 4639 feet above sea level and it is about 492 feet long and about 10 feet wide. The height of the bridge itself is 487 feet and it includes eight arches. 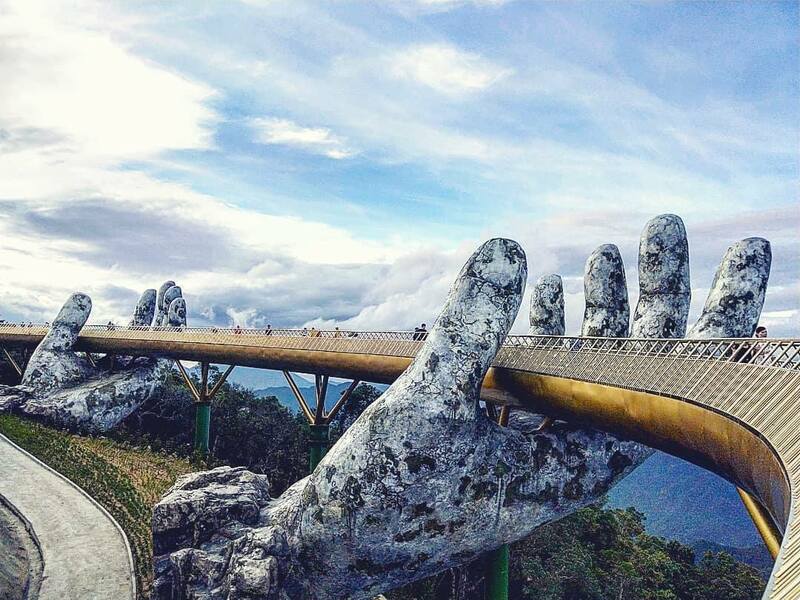 But, what’s unusual about it, that it’s supported by two columns in the form of huge hands. 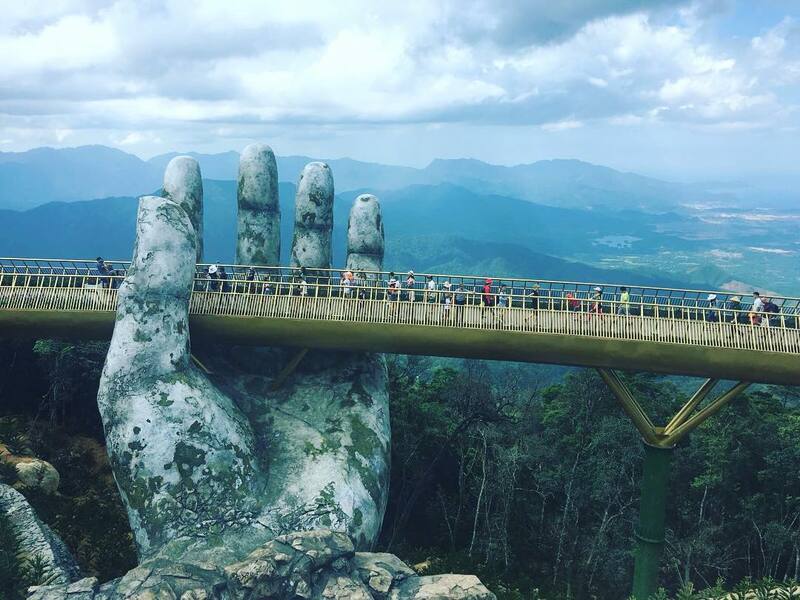 Hands appear to be carved from stone, but, in fact, their frame is made of steel. They look, as though they were there since the ancient times; “overgrown” with moss and plants. The place is surrounded with lush greenery and colorful gardens. And since it’s on top of the mountain, the temperature is way cooler. There are a cable cars, which take visitors to the top of the mountain and provide astonishing views.